This is a gorgeous photo! The colors, the composition, and the story behind it. Lovely photographs! The vibrant colors juxtapose each other very well. Thanks, Naomi and Millie. This was taken at a local community bike co-op. 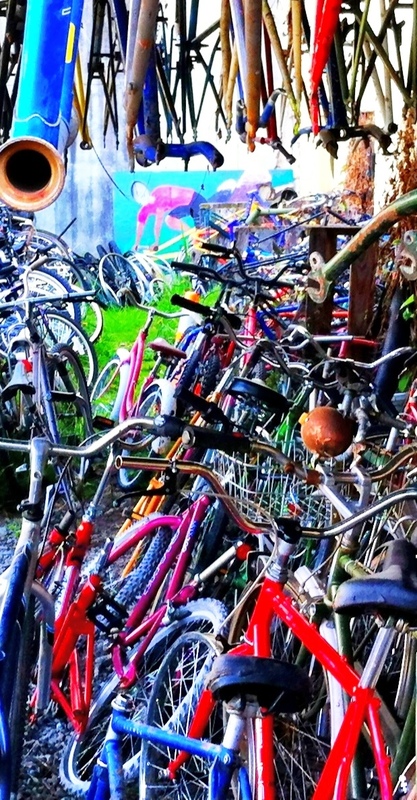 They’ve saved thousands of bikes from going to the landfill. They strip them down and people can make custom bikes out of random parts. The shop is awesome, and members get to use it and all the tools. Very cool and a great place to take photos.